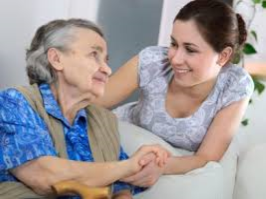 Are you caring for someone with a severe and enduring mental illness or who is over 65 and has a respiratory illness? Then Derry Well Women needs your help. “We want to talk to 20 women carers, as part of a small research project that we are carrying out, in partnership with the University of Ulster and the Western Health and Social Care Trust” says Derry Well Women manager Susan Gibson. “The research is being conducted to help us understand how long term caring is impacting on the lives of women. We need to talk to women who are primary carers of the person they look after, and who have been caring for more than a year”, she adds. If you are interested please contact Susan or Oonagh at Derry Well Women on: 02871360777 before the closing date of Tuesday 20th June 2017. Participants will receive a £10 voucher for taking part. “We are also at the forefront of campaigning and raising awareness on women’s health issues, effecting change in health policy and practice and giving a voice to women facing social exclusion, isolation and health inequality. Researching the role women play as primary carers and the impact it has on their lives as a result, falls into this remit”, says Susan Gibson. Derry Well Women was founded in 1989 by a group of local women who wanted to provide alternative health services to women in the north west, which met their wider health and social care needs and which filled gaps in existing local services.